An Introduction to Grading class will be held 9 a.m.–4 p.m., September 21, 2013. Register today! NGC will conduct an Introduction to Grading class on Saturday, September 21, 2013 from 9 a.m. to 4 p.m. at the Whitman Philadelphia Expo. The cost for the class is $149 to the first 20 paid NGC Collectors Society members (new attendees only) who register. Lunch will be provided. Classroom space is provided courtesy of the Whitman Expo. The class will be taught by NGC grader John Schuch, II. John joined NGC in 2004 and has worked as a grader for 9 years, advancing his knowledge and passion for rare coins. 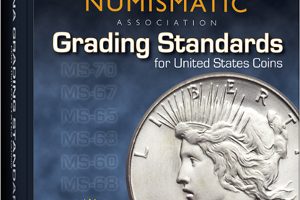 He has taught numerous grading classes at the American Numismatic Association’s Summer Seminar. The class is limited to 20 students and is available to paid NGC Collectors Society members on a first-come basis. New attendees only. Advance registration is required. Click here to register. Enter code: grading921 and press the “Proceed” button. You will receive an email with payment instructions.